Remember Mandy, our friend that took us on a tour to begin our trip? 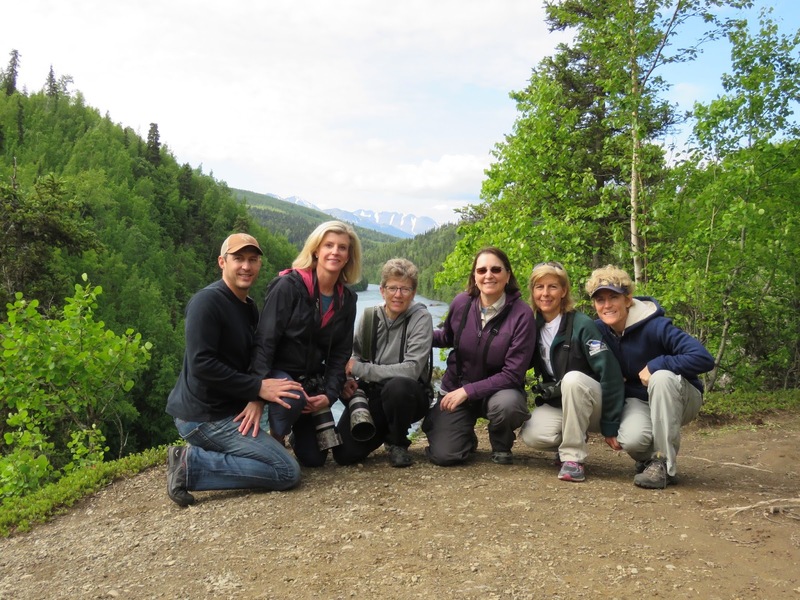 Well, she drove down to Kenai to meet up with us again and take us salmon fishing. 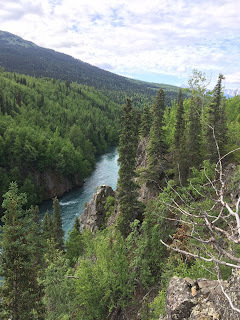 So after a 9 hour boat trip, an hour drive back to the hotel, Mandy picked up me, Di, Barbara and Todd and took us fishing on the Kenai river. Did I mention that it was after 9 PM when we started? We laughed pretty hard when she told us that we would be fishing without bait. "Just flop it out there" she said. "Start upstream at like 11 o'clock and let it drift to 2 o'clock, then reel it in hard". Does she think I'm an idiot? No bait? The fish is just going to bite at an empty hook? 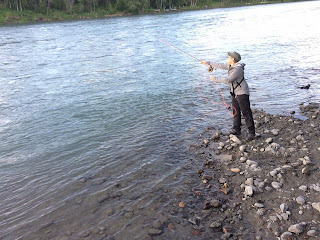 I guess I'm an idiot because I stood there on the bank of the Kenai river flopping the line in at 11 and yanking at 2. Nuts. 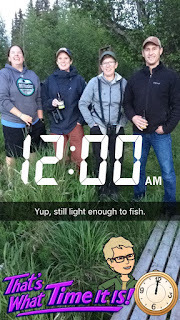 No fish but alot of fun anyway fishing at midnight. The next day we decided to be land lubbers and go hiking. 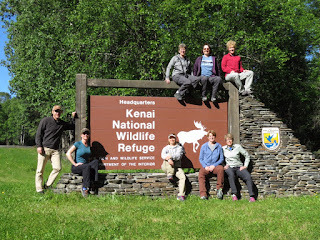 Here is the gang at Kenai National Wildlife Refuge. We found a great hike with spectacular views of the Russian river canyon. 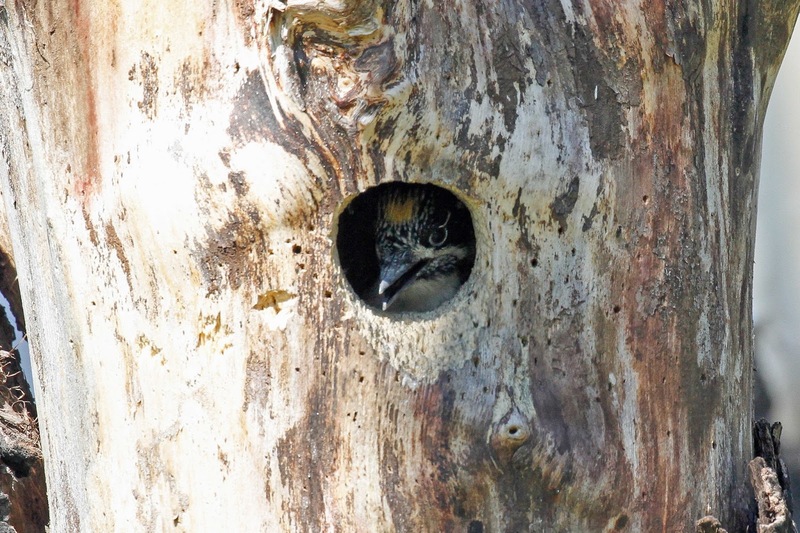 We had one last target bird to find - American Three-toed Woodpecker. They like burned out forests. 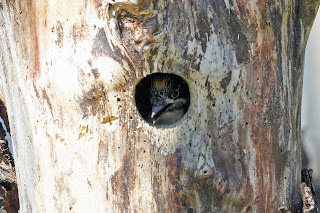 We heard a woodpecker calling from the burned trees but we couldn't see it. Where was it? I stood there wondering and then looked above my head. Ta-da! A great ending to a great trip. So many photos and stories that didn't make the blog or Flickr or even the photo album. One thing is for sure - this trip is now known as our first trip to Alaska and certainly not our last.